Stemming from a brief mention on twitter of it during the week, I thought it only fair to feature one of the craziest and most amazing road junctions I’ve ever had the pleasure of driving around: Swindon’s Magic Roundabout. 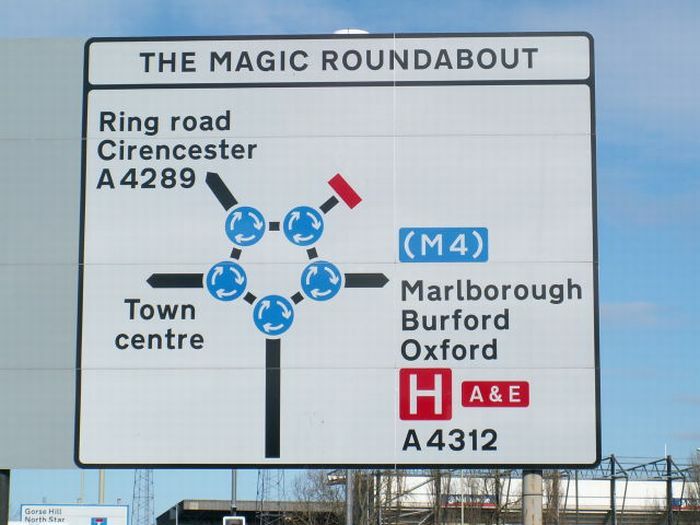 The Magic Roundabout is an example of a counterflow roundabout, according to roundabout.net, who even describe a “pro” and “tourist” route around the junction. The area had been a motorist’s nightmare which routinely failed to handle the volume of traffic which converged on it from five directions. The roundabout, built in 1972, was the work of the Road Research Laboratory (RRL) and their solution was brilliantly simple. 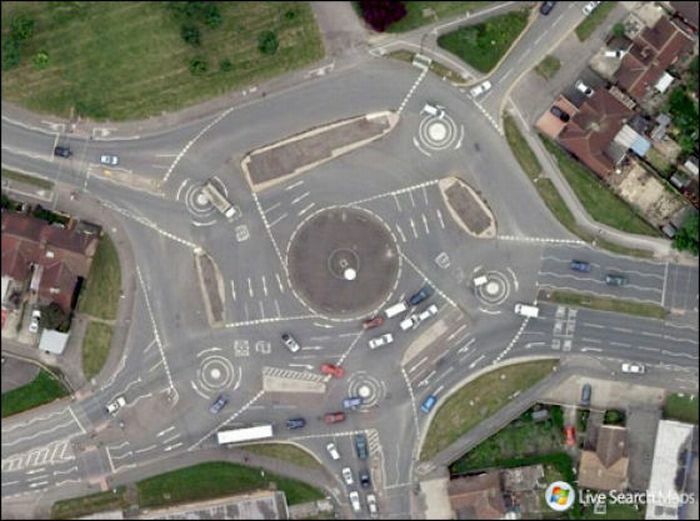 All they did was combine two roundabouts in one – the first the conventional, clockwise variety and the second, which revolved inside the first, sending traffic anti-clockwise. It’s actually nowhere near as scary as it looks and the amazing thing is that it actually works really well, as long as people obey the rules of the road. That said, T-shirts with an “I survived the Magic Roundabout” logo on them are available via swindonweb.com for tourists who manage to make it through unscathed. We’re heading back to Cape Town this afternoon, fortunately avoiding Swindon, but sadly still having to endure the misery of Somerset West.